Thanks for this extremely well-written, authoritative post, Tom. 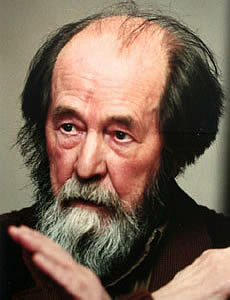 I read ‘One Day in the Life of Ivan Denisovich’ followed by ‘Cancer Ward’ quite a long time ago. 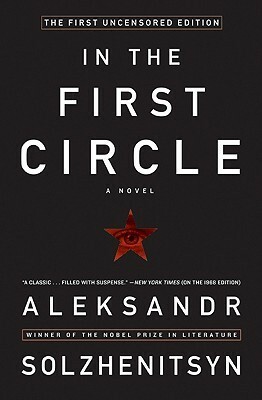 Thanks to you, ‘In the First Circle’, 2009 edition, has now been added to my reading list. Thanks, Russell. I hope to get to Cancer Ward and some of his non-fiction one day. 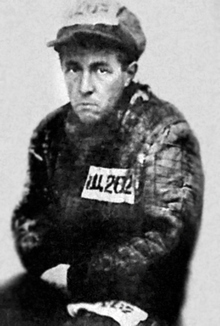 The Soviet Union may be gone but, sadly, the things he wrote about are all too germane today…prisoners detained without trial and denied their civil rights. Welcome to Guantanamo! Yes, I echo Russell’s comments above on another very informative post. We learn so much from past stories (at least, I hope we do!) but with a view to the future, looking forward to more articles on your blog in 2015. Thanks, Emma. And just so you know, your blog not only delights me but also my wife, the gardener in our family, who loves your photos and descriptions of the secret life of bees. Happy holidays! I have an old copy of this book, which will now be jettisoned to a local bookshop so I can the true copy. It sounds really fascinating, although for some reason Russian literature always looks like such a challange, I think I blame all those Patronyns they are so fond of over there. Yes, the patronyms are aplenty in this one. Fortunately, there is a list up front. I’d keep the old copy for comparison. It would be interesting to see what he cut or changed. Merry Christmas to you too, Ste J. Sorry for getting late to this post, have just returned from a vacation. I read The First Circle a long time ago (the older version, of course), and have very hazy memories, one of them being of a hair raising telephone call that Stalin makes in the dead of the night to, I believe, the chief protagonist of the novel. It might be interesting to read The First Circle, and some of the other works about thought control in the ex- USSR in the light of the wikileaks exposes.. The Soviet state’s mechanisms would seem to be amateurish compared to the United State’s sophisticated methods. Welcome back, Bhupinder. And happy new year. Yes, it’s terrible to think that we have “sophisticated” the techniques so much that Stalin’s goons’ efforts seem old-fashioned in comparison. But as I read this book, that’s exactly what I was thinking.